Upon the retirement of William Muldoon at the end of the 19th century, many other figures would come forth to claim the mantle that he laid down. 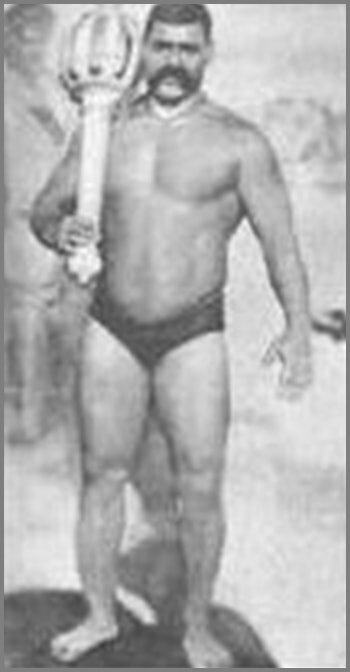 Wrestling would continue to evolve on an international stage, as several of them would go on to write themselves places in the annals of wrestling history. 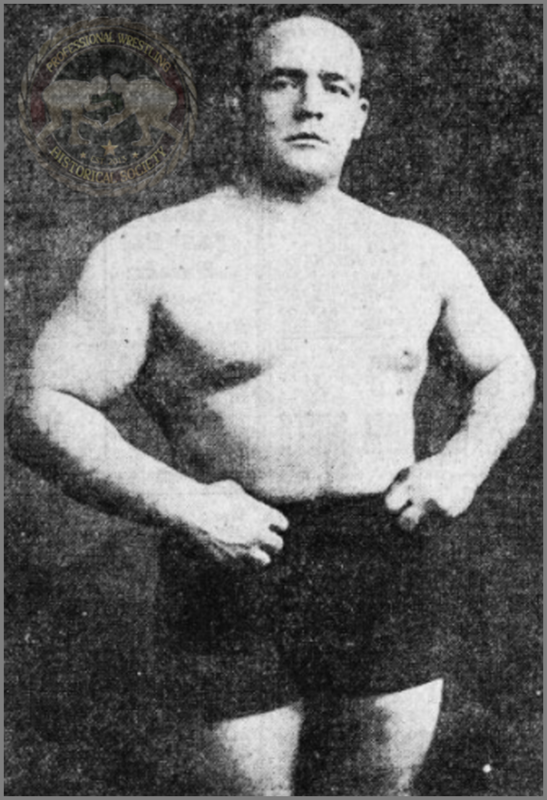 Hackenschmidt would win his first world title in 1901. (9) He would defend it successfully for the next several years, against a cavalcade of opponents all across Europe and the United States, until he met his greatest opponent, Frank Gotch. (10) I have detailed the history of the Gotch-Hackenschmidt matches here. 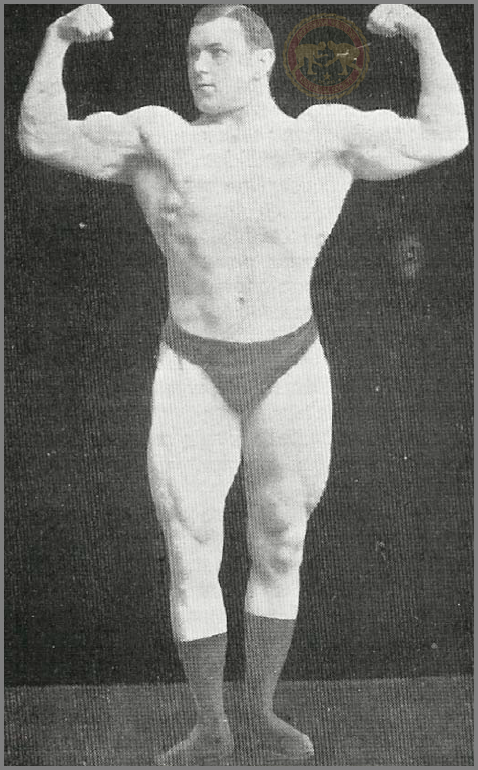 After the second Gotch-Hackenschmidt match, Hackenschmidt would retire and become an accomplished scholar and writer. 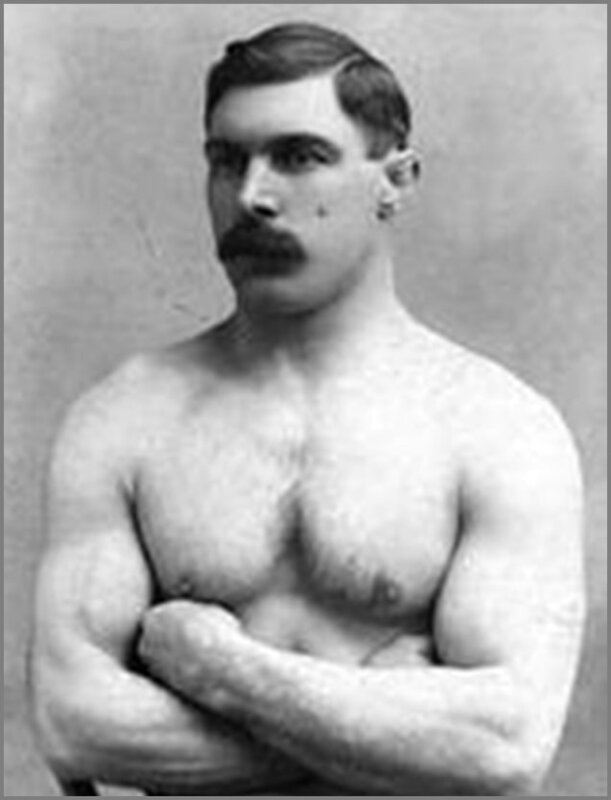 (11) He would write several books on wrestling and body-building. (12) He would die on February 19, 1968. (13) Hackenschmidt will be remembered mostly for the Gotch-Hackenschmidt matches, but in his own right, his contributions to the sport were more than significant. I cannot conclude this page without mentioning two brothers who emigrated from Krakaw, Poland, to the United States in the tail end of the period, and would have an impact on the business in the 1910s-1920s. Stanislaus Cyganiewicz, who would later be known as Staislaus Zbyszko, had engaged in tournaments in Europe and proved his mettle. (22) When he came to the US in 1909, he "wanted nothing more than a match with the unconquerable World Champion Frank Gotch. "(23) However, when he finally got his match, he would lose in two straight falls, the first coming in only six seconds. (24) However, he would later win the coveted belt on more than one occasion, which I cover here. 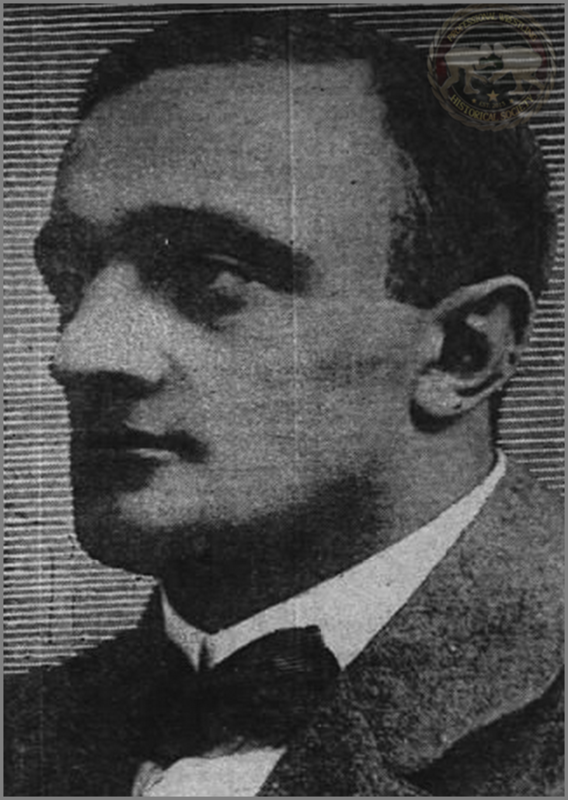 Stanislaus' brother Wladyslaw Cyganiewicz, who would also take the name Zbyszko, would follow his brother to the US in 1912. (25) He would also become a major player in the world title scene. More details are offered here. All of these men were significant, in an era that would bridge the gap between the 19th century and the 1920s, a period that would bring changes that would continue to influence the modern age of professional wrestling. However, the most dominant figure of the period is the man discussed here. 3. Professional Wrestling Hall of Fame. 1. Hornbaker, Legends Of Wrestling. pg. 14. 2. Hornbaker, Legends. pg. 14. 3. Hornbaker, Legends. pg. 14. 4. Fleischer, From Milo To Londos pg. 14. 5. Hornbaker, Legends. pg. 14. 6. Hornbaker, Legends. pg. 16. 7. Hornbaker, Legends. pg. 16. 8. Hornbaker, Legends. pg. 16. 11. Hornbaker, Legends. pg. 17. 13. Hornbaker, Legends. pg. 16. 14. Hornbaker, Legends. pg. 17. 15. Hornbaker, Legends. pg. 17. 16. Hornbaker, Legends. pg. 18. 17. Hornbaker, Legends. pg. 18. 18. Chapman, Mike. The Life and Legacy of Frank Gotch. pg. 14-15. 19. Hornbaker, Legends. pg. 18. 20. Chapman, Catch. pg. 14. 21. Hornbaker, Legends. pg. 17. 22. Hornbaker, Legends. pg. 52. 23. Hornbaker, Legends. pg. 52. 24. Hornbaker, Legends. pg. 52. Other articles by Julie can be Read Here.